Posted on September 21, 2010	by Lou Murray, Ph.D.
Night critters seem to be raiding my garden. 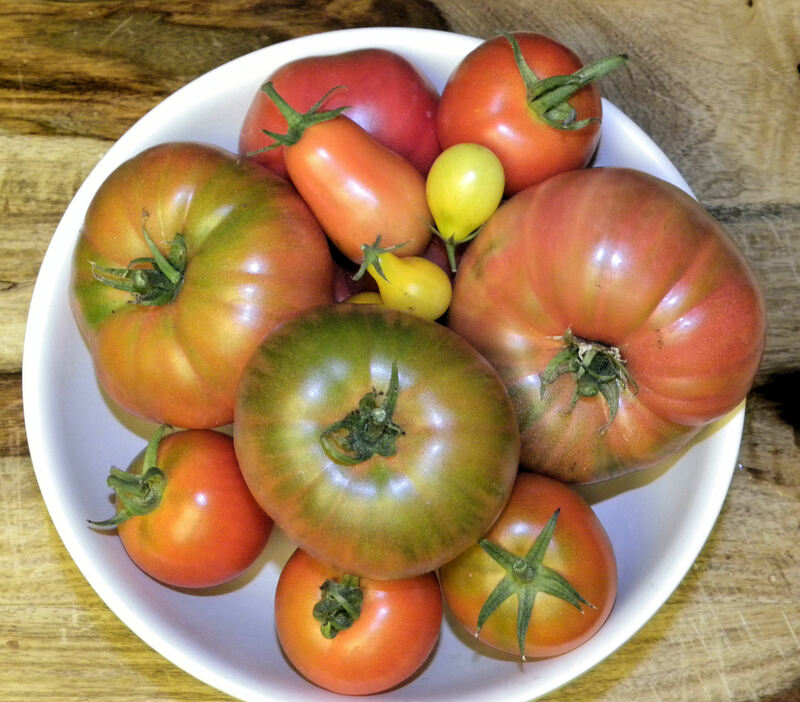 The ripe tomatoes are disappearing, or remaining on the vines half eaten. And I could have sworn I had more apples than what remain on the tree. Time to set the trap again. With such a small garden, I count every fruit and vegetable and battle the wild things for them. 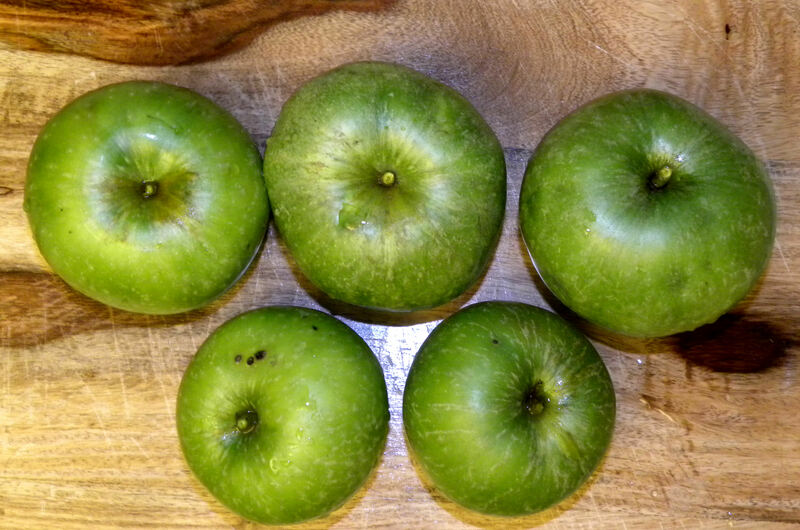 This day's harvest of Granny Smith apples went into an apple brown betty. The tomato harvest is an odd mix of Mortgage Lifters and the occasional yellow pear, Better Boy, Roma, and Early Girl. 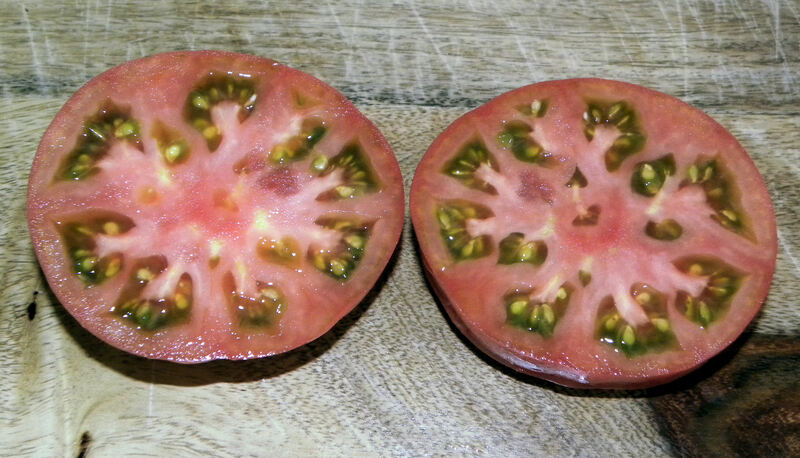 The Mortgage Lifters are nice, meaty, deep pink tomatoes, but the flavor is nothing special. I harvested the first of my homegrown gingerroot this week to put into guava jam. I’m really pleased that my attempt to grow ginger worked. I just put a grocery store gingerroot into a pot of dirt and seven months later I’m getting enough gingerroot to harvest. My plan is to keep the pot growing all year long. It should be able to supply all of my modest needs for fresh gingerroot. I made a second batch of pineapple guava jam, using fresh gingerroot and a Granny Smith apple from my garden. The citrus and spices shown here are store-bought, as I'm between crops on my citrus trees. Here’s my harvest for the week ending Sept. 19, 2010. This was the last of my lemons and oranges until the next crop ripens. Subtotal fruit 3 lbs 9.5 oz. Subtotal vegetables 3 lbs 9.5 oz. If you had a harvest this week, visit Daphne’s Dandelions and post your results. 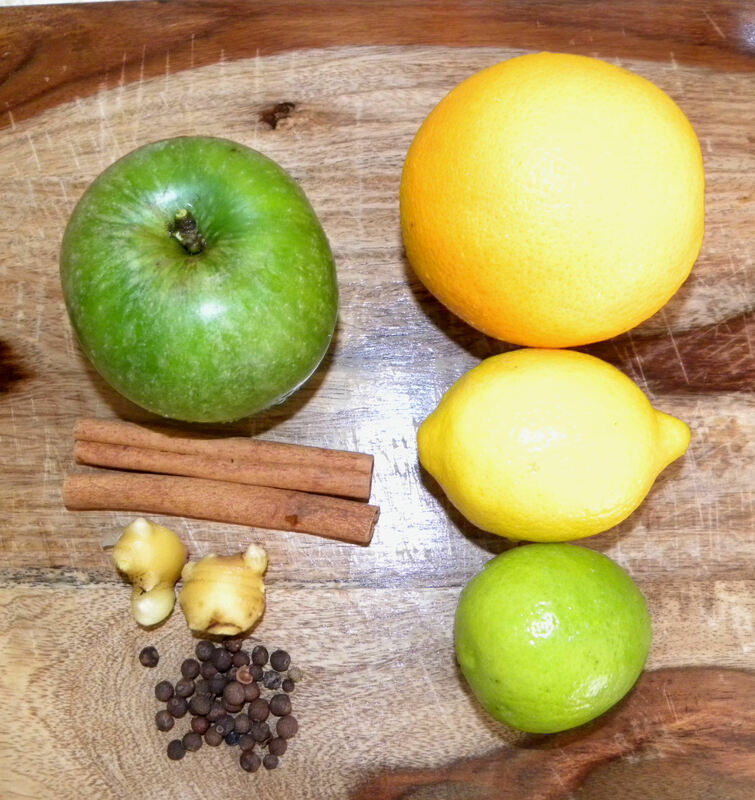 This entry was posted in Uncategorized and tagged apples, ginger, gingerroot, Harvest Monday. Bookmark the permalink. I LOVE your blog. Just found it and am excited! I am an apartment dweller in HB, growing beets in my tiny patch of dirt. I look forward to following your harvests! Hi Cathie. Not sure that you’ll check back to the comments, but are you aware that we’re trying to get a community garden up and running in HB? There may still be a few plots available. Yes, I have heard of the garden, but am just now poking my head out of the apartment after having a baby. I moved here a year ago from Costa Mesa. Still learning the neighborhood! Cathie, I grew my first garden in Indiana when I had my first baby. Wow, that was 49 years ago. I canned tomatoes, corn and green beans from that garden. It’s much easier gardening without a baby underfoot though. The critters have taken a toll on me too. So sad. I hate when they eat just part of a tomato then go on to the next. At my old house I quit growing strawberries because the evil chipmunks would take a bite of the not ripe ones and then toss it after it didn’t meet his standards. He would do this to every single one in the patch. Very sad. Hi Daphne. That does seem to be the MO of critters, eat a bit to ruin the fruit for us and then leave it. Fortunately, the chickens don’t mind a tomato that has been half eaten by possums. My youngest son would love to have some of those Granny Smith apples!! Hi Debiclegg. Regrettabley, I have no apples to spare. The night critters got nearly half of them this year. Those apples look really good – thankfully you managed to get them harvested before they too fell victim to the critters! Gingerroot – nice. I have some outside in a container but it is pathetic. Next year, I’ll have to try properly. I know what you mean about sharing with the animals – sometimes they don’t read the ‘sharing’ part of the contract. Ottawa, I had no idea that gingerroot would grow in Canada. It’s pretty much a tropical plant. Good luck with it. Hi Lou, are the mysterious night critters in your garden possums? The ginger plant is a great idea I’m going to try out right away. Barbara, I strongly suspect possums. Still haven’t bothered setting up the livetrap, so I don’t know for sure. Ginger makes a nice houseplant, and it does well outdoors in summer. Here in southern California, I just let it grow all year long.